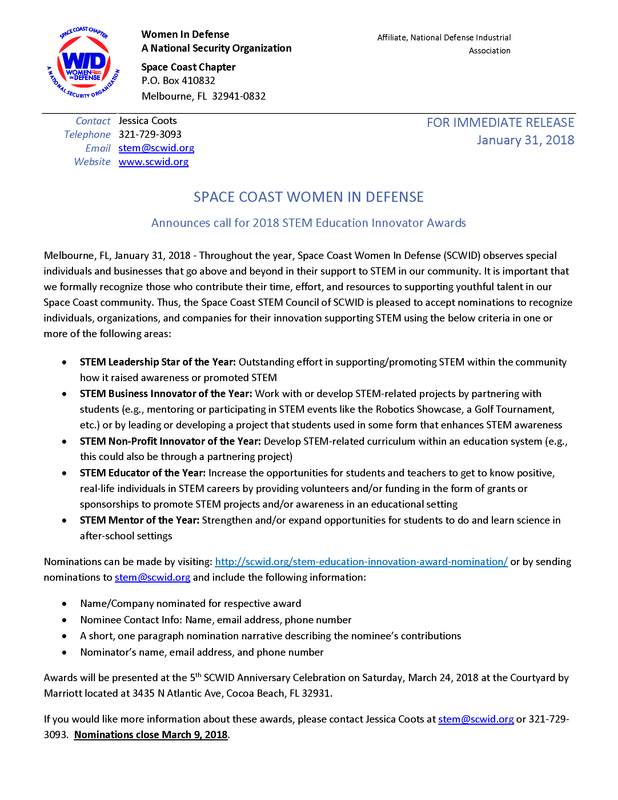 Melbourne, FL, January 31, 2018 – Throughout the year, Space Coast Women In Defense (SCWID) observes special individuals and businesses that go above and beyond in their support to STEM in our community. 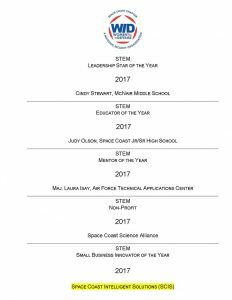 It is important that we formally recognize those who contribute their time, effort, and resources to supporting youthful talent in our Space Coast community. 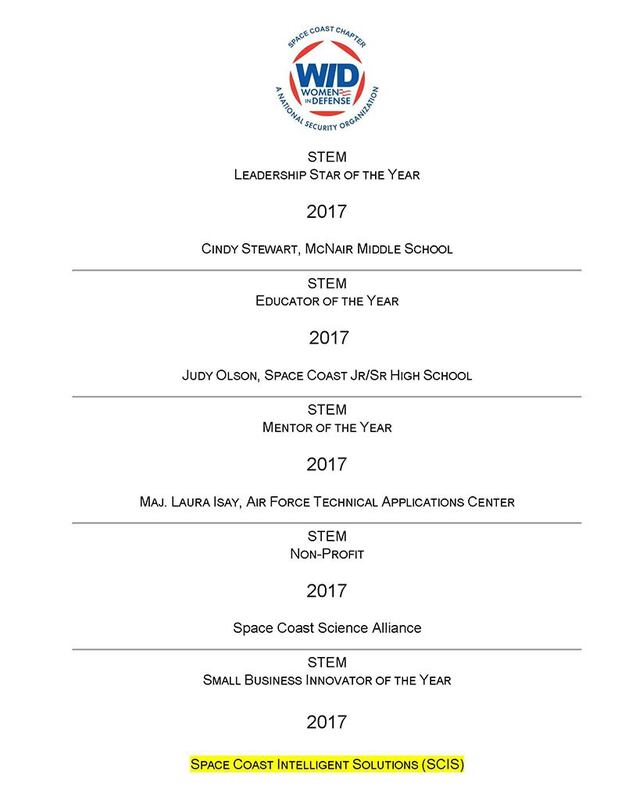 Thus, the Space Coast STEM Council of SCWID is pleased to accept nominations to recognize individuals, organizations, and companies for their innovation supporting STEM. 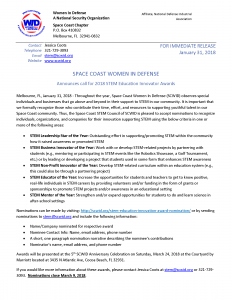 Please download and read the full press release for more details.